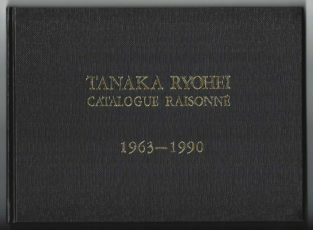 In 1963, when he was well beyond school age, Tanaka started his career under Furuno-sensei. 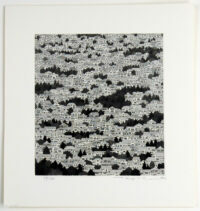 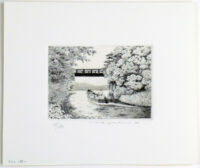 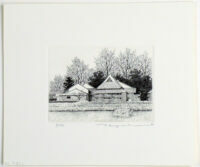 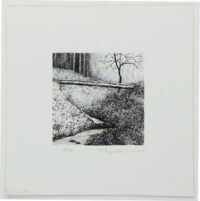 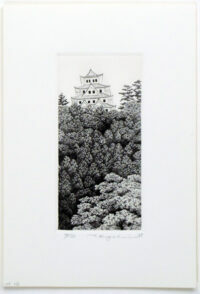 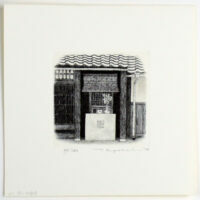 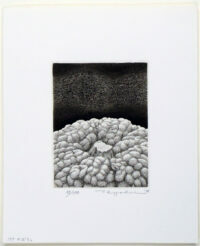 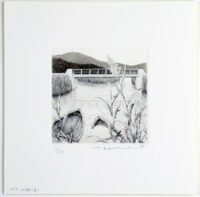 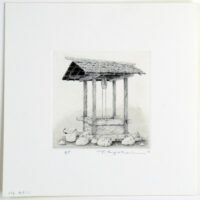 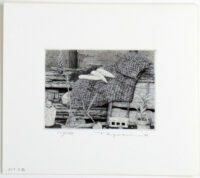 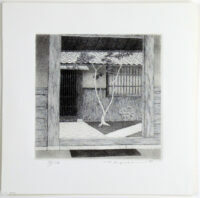 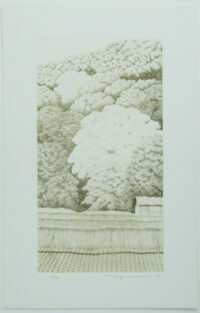 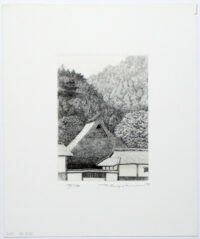 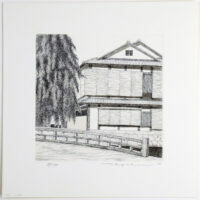 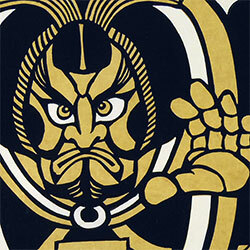 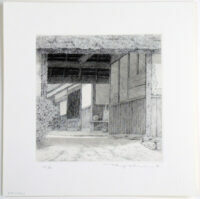 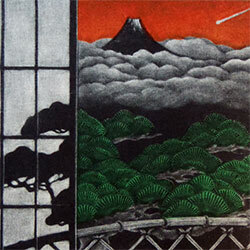 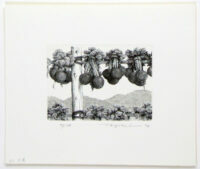 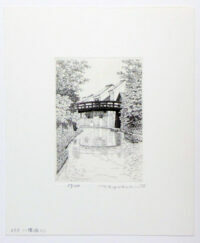 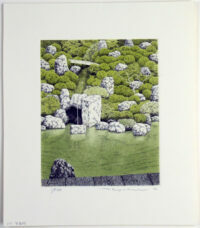 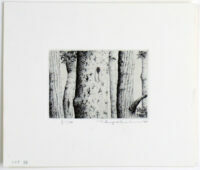 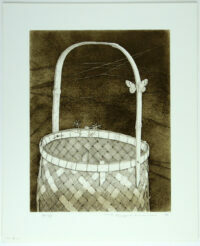 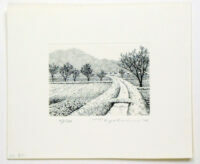 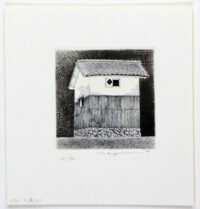 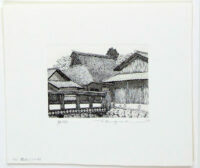 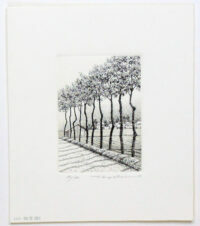 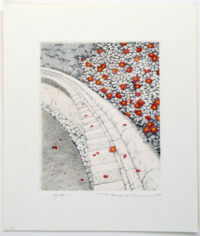 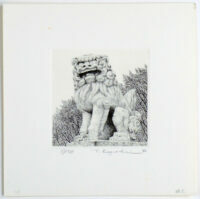 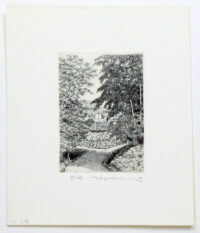 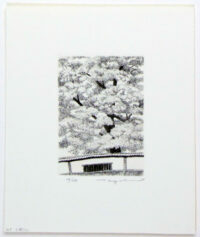 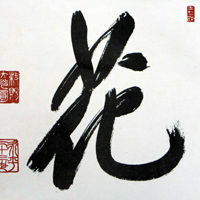 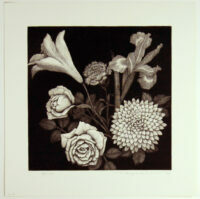 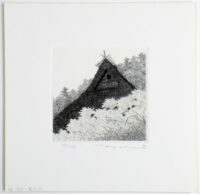 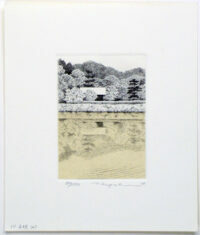 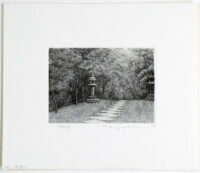 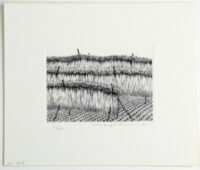 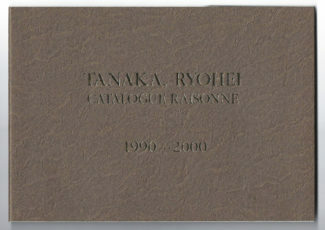 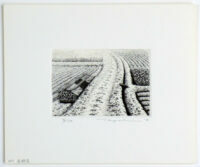 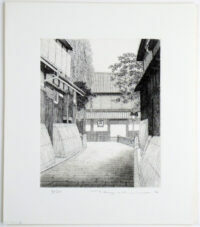 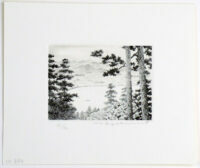 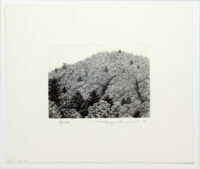 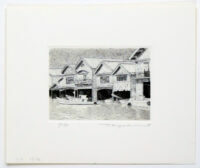 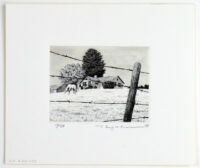 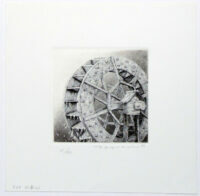 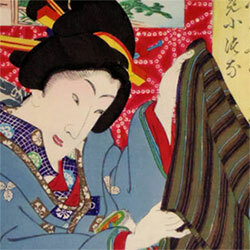 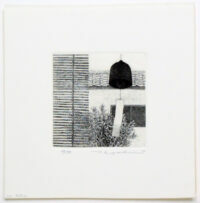 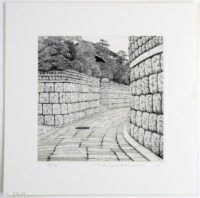 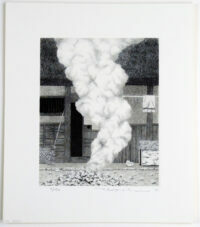 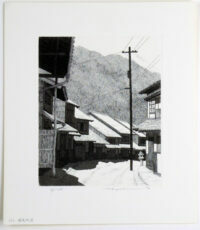 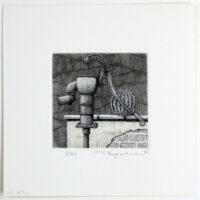 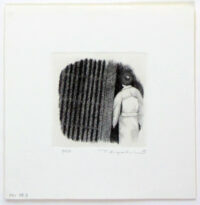 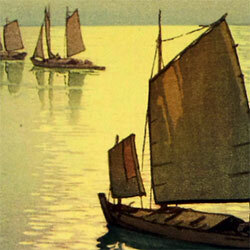 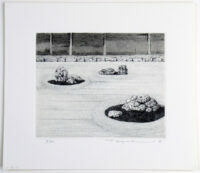 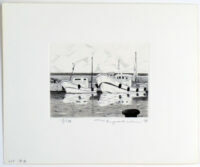 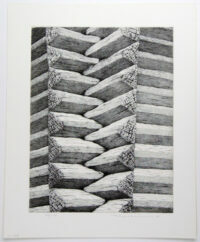 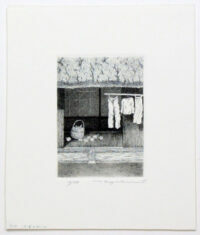 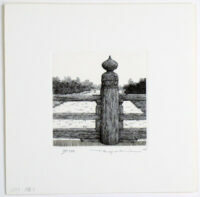 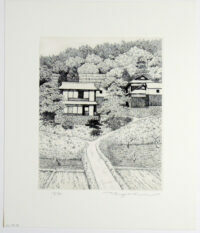 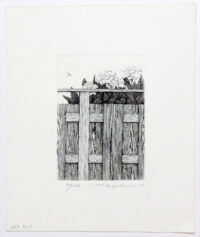 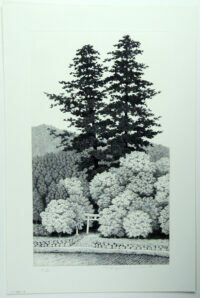 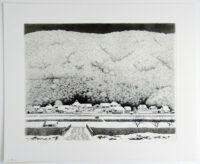 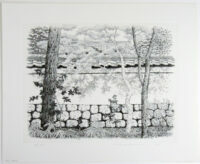 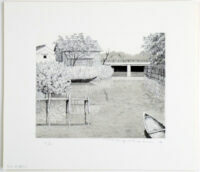 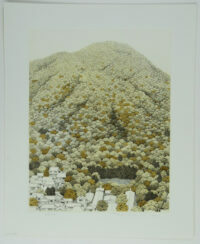 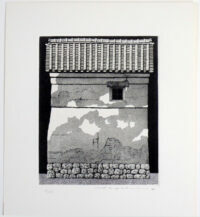 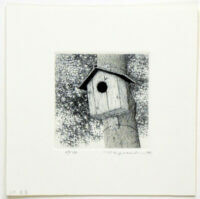 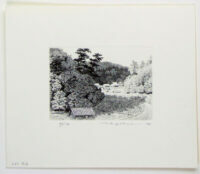 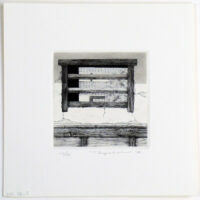 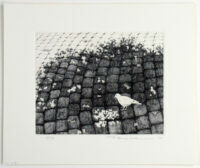 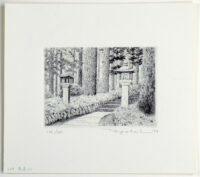 What lured Tanaka into the arts was the medium: etching. 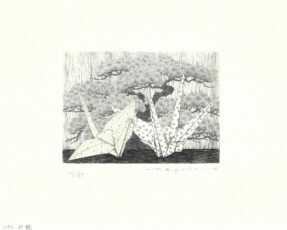 Unlike many of his peers, Tanaka knew what he wanted to depict: the world in which he came from and lived and in particular where man and nature combined. 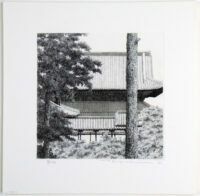 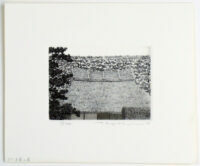 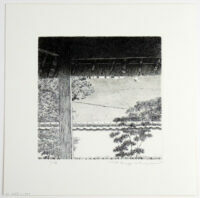 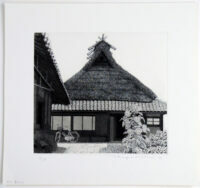 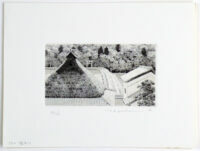 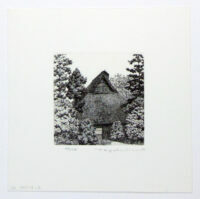 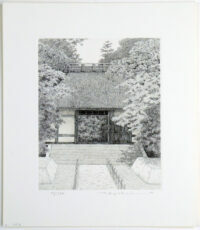 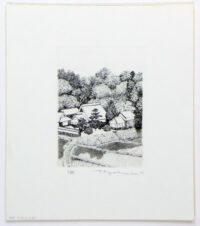 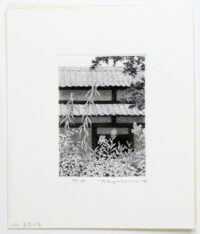 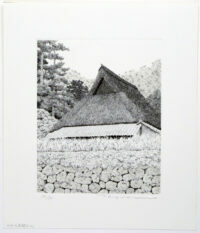 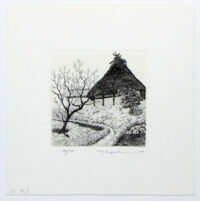 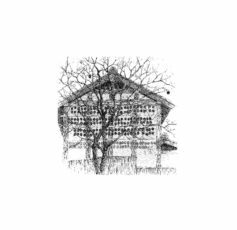 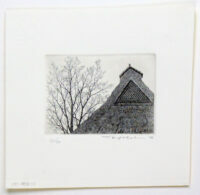 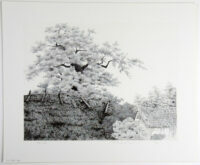 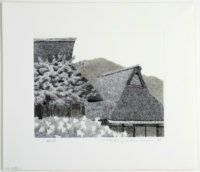 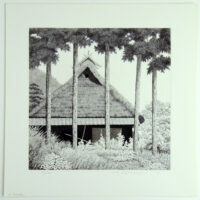 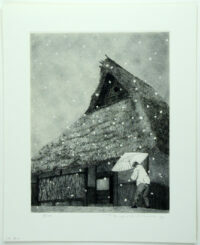 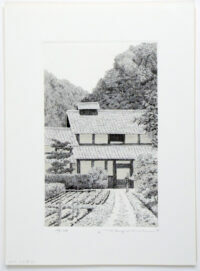 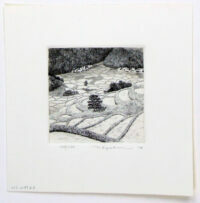 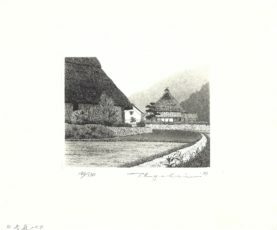 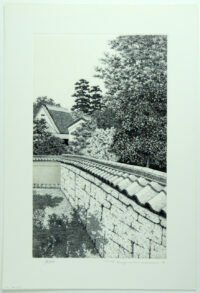 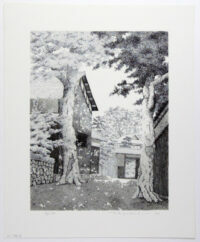 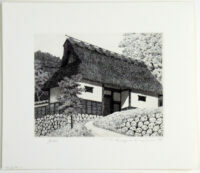 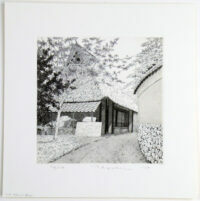 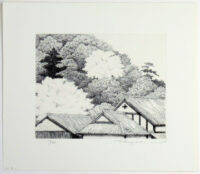 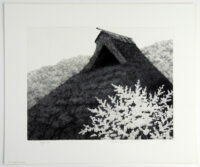 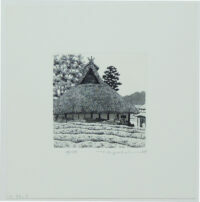 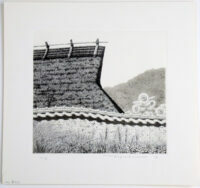 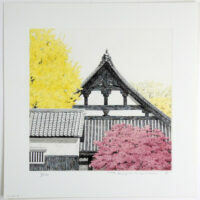 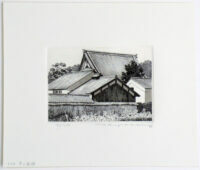 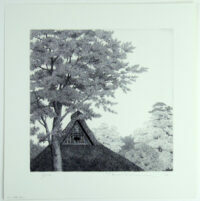 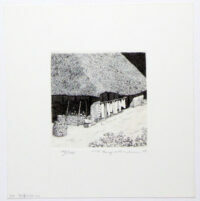 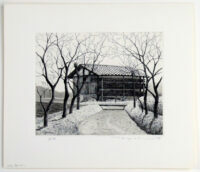 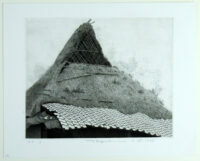 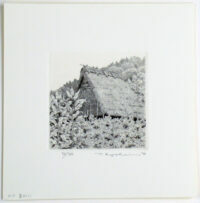 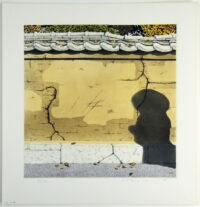 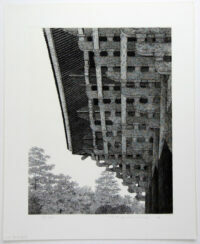 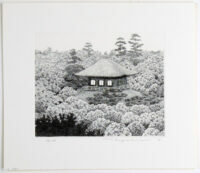 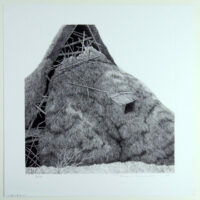 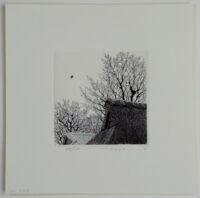 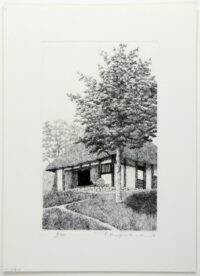 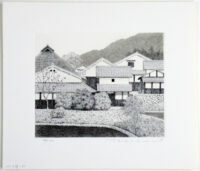 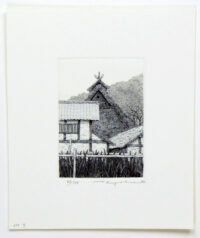 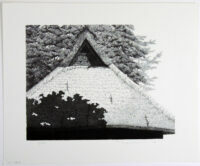 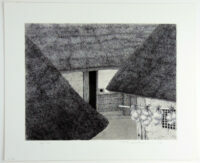 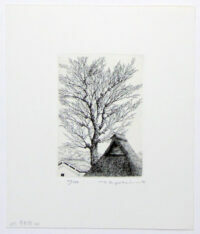 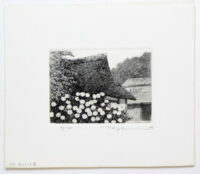 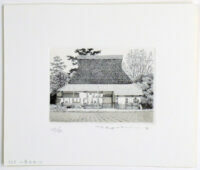 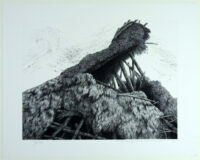 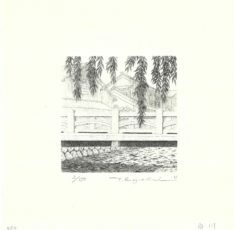 His minutely accurate etchings focus on thatched-roof farmhouses and threadlike tree branches that are quickly disappearing from the Japanese landscape. 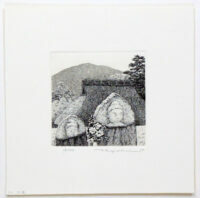 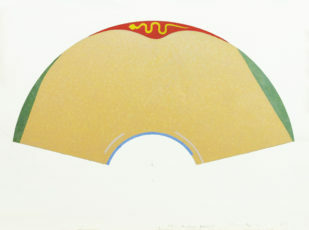 Human figures play almost no part in Tanaka’s works, but they are implied at every turn. 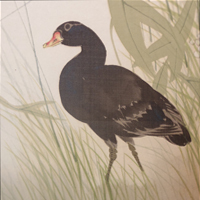 Their absence, along with his color selection of umber, black, greenish gray tones provide a sense of quiet and distance. 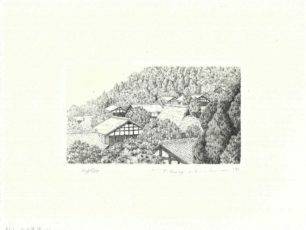 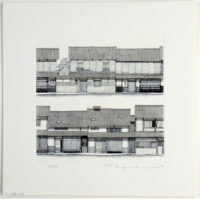 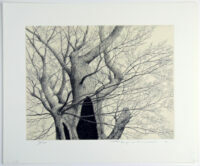 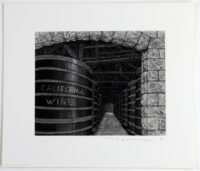 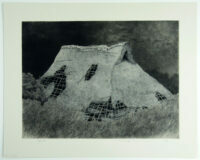 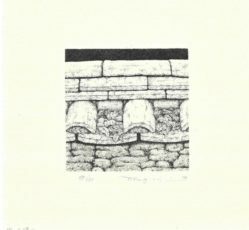 What grabs Tanaka as an artist also grabs us: the use of etching to bring life and spirit to a place of habitation – a place that we may call our own.